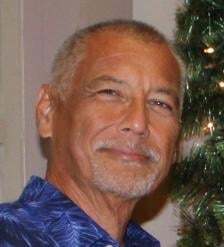 No new cuts in 2020 budget plan - KUAM.com-KUAM News: On Air. Online. On Demand. Gov. Lou Leon Guerrero has submitted a budget request for 2020, which is about $10 million more than the current fiscal year. Now, the administration's fiscal team is getting ready for hearings to justify the spending plan. Right off the top, the budget sets aside $125 million for tax refunds, including about $60 million in earned income tax credits. Then, about $516M or 56 percent for the big three of education, public safety, and public health. The rest of the government agencies and the other branches will split the remaining 32 percent or $285 million. To pay for this, budget director Lester Carlson says we have to continue the 5 percent business privilege tax, which was raised from 4 percent last year. "It is the one significant item that we've done to be able to counter the effects of the Trump tax cuts and jobs act," he said. The full-year trump tax cut hit was "well over" $100-million, so the real property and tobacco tax increases also need to stay to make up for it. And while Carlson says no new tax hikes are needed, fees are a different story. "There is some discussion of increases in fee-based services," he said. "The bureau has no problem with that because a lot of government services the fee structure is 20, 25 years old. And the costs of providing those services have increased dramatically." Some specific spending increases include $3 million to hire more police and customs officers, and $1.5 to $2 million to reinstate employee pay increments. But what about the other side of the equation? When asked why there were no budget cuts included in the proposal, Carlson said cuts have already been made. "We cut in '18 as a part of the fiscal realignment plan," he said. "We went ahead for '19 the legislature, the budget, basically had kinda like a reset to it. So, all we're doing, essentially, is starting from that flow and working our way back up." But the administration also wants to cut into the deficit, and ultimately set aside a rainy day fund for fiscal emergencies. "If we anticipate $100 in government revenues, we only appropriate $98," Carlson explained. "And we use that 2 percent for deficit reduction." "The administration hopes to bolster its case with an economic outlook report that predicts moderate growth, an increase in Japan arrivals and military-buildup related construction, and more new restaurants and other economic activity. "I think all of us were pleasantly surprised by the very, very warm welcoming, re-welcoming of Jollibee," Carlson said. So the stage is set for the budget hearings with senators, who themselves are keen to come up with their own spending priorities, and the revenue projections to justify them. "We need to get through adoption of revenue first, then everything else will follow," Carlson said.